Please arrive at least 40 minutes before each match and register each day at the tournament desk. Make sure you pick up your t-shirt before your first round and be ready to go on court at your allotted time slot, court space could be tight. Players will be required to referee/mark over the course of the weekend and the losers of every match will be required to mark the match following. If this is not possible then it is your responsibility to find somebody else to do it for you, no exceptions!! All events will be PAR scoring, first to 11, best out of 5. Please be respectful to all markers. The tournament referee is Liam Gutcher. All players will be entered into a plate competition following defeat in their first match, so all players will be guaranteed two matches. 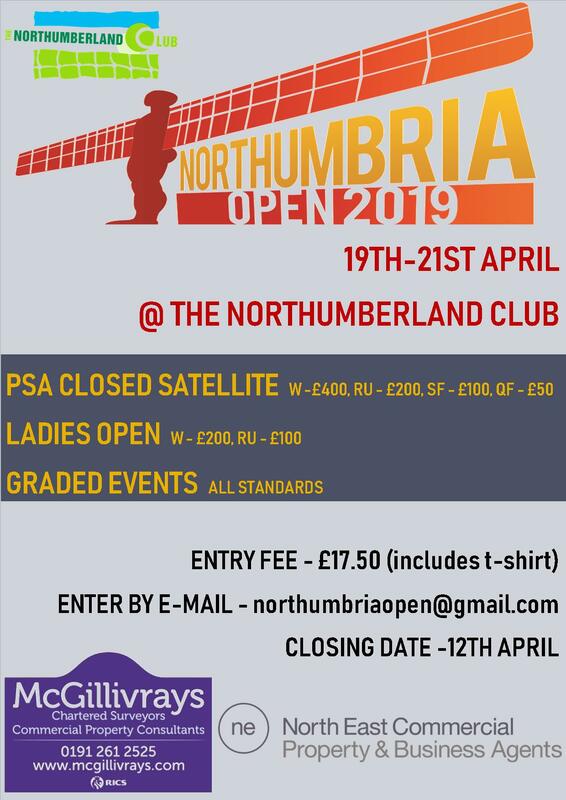 We have kindly had a number of partners sponsor the event including Northumbria University, Northumbria Squash, AXIS Fitness, Coffee Quarter, Ian Wood Sports and Northern Junior Squash. 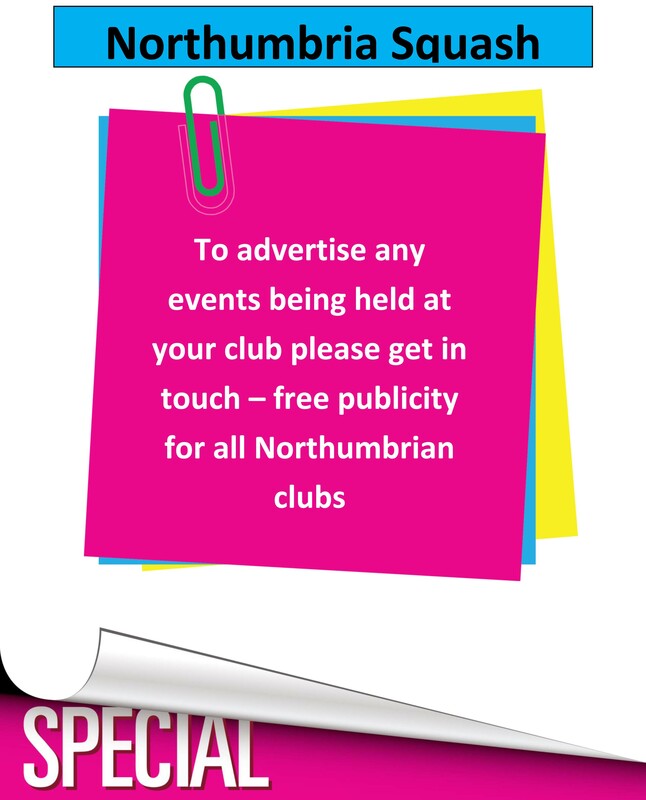 If anybody is interested in studying at Northumbria University, they are offering scholarships for talented sports players which are really worth looking into! Please remember that if you wish to claim World Ranking Points from this event then you MUST inform PSA within 24 hours of the event finishing otherwise you may not be able to claim them. Looking forward to seeing you all at the weekend, good luck!